The room where the Declaration of Independence was signed, Philadelphia, Pennsylvania. It was 236 years ago that an amazing idea was put into words and a new experiment in governance was begun. … We hold these truths to be self-evident, that all men are created equal, that they are endowed by their Creator with certain unalienable Rights, that among these are Life, Liberty and the pursuit of Happiness. 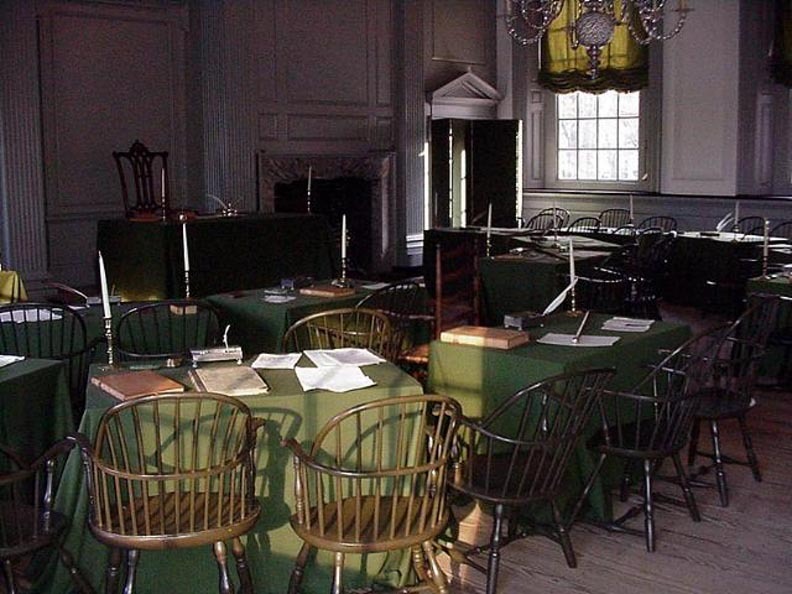 The Declaration of Independence was signed in the room shown above in Independence Hall, Philadelphia. If you look closely you can see Benjamin Franklin’s walking stick on the table on the right. 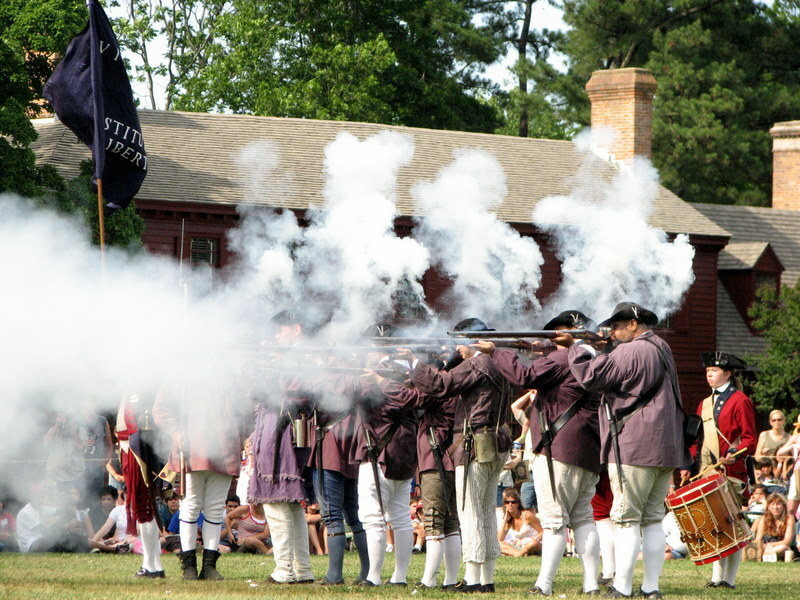 ‘Militiamen’ firing a salvo, Williamsburg, Virginia. June 22, 2007. In the war that followed American militiamen took on Europe’s strongest army. For several years the Americans lost more battles than they won, but they persisted. 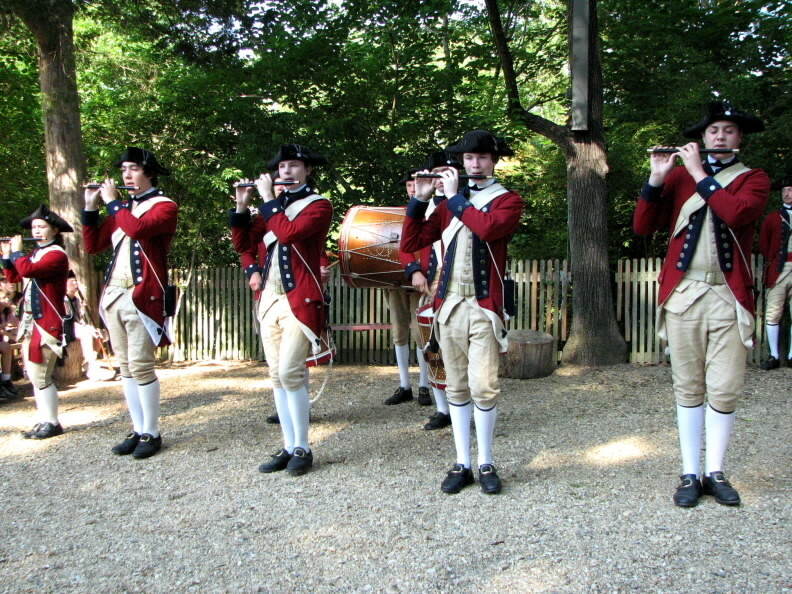 Fife and drum corp, Williamsburg, Virginia. Finally, in 1781, a British army surrendered at Yorktown, Virginia. For all practical purposes that ended the war. ‘Yankee Doodle’ had won. The experiment continues to this day. The nation hasn’t always lived up to the ideals expressed all those years ago, but it does keep striving toward the goal. Fireworks, Fairfield Glade, Tennessee. July 4, 2010. This entry was posted on July 4, 2012 at 3:36 am and is filed under American Life. You can follow any responses to this entry through the RSS 2.0 feed. You can leave a response, or trackback from your own site. I’ve been in that room and have a photo, somewhere… long before digital! George: Happy 4TH to you and Betsy. May the Red, White and Blue proudly fly today. Your pictures capture the day beautifully. thanks for my visit to the room where the declaration was signed, i have never seen it and it is beautiful room and photo. On the occasion of Independence Day, I send the USA, you and your friends all the best! Hope you and Betsy have a great holiday. What a wonderful post for the day, George! I shared some information about the men who signed the constitution — some of which I was not aware of until I read the post of another friend. I think at this time we all need to be more aware of the incredible price these men paid for our freedom and our country! Have a great 4th! Great post, George! 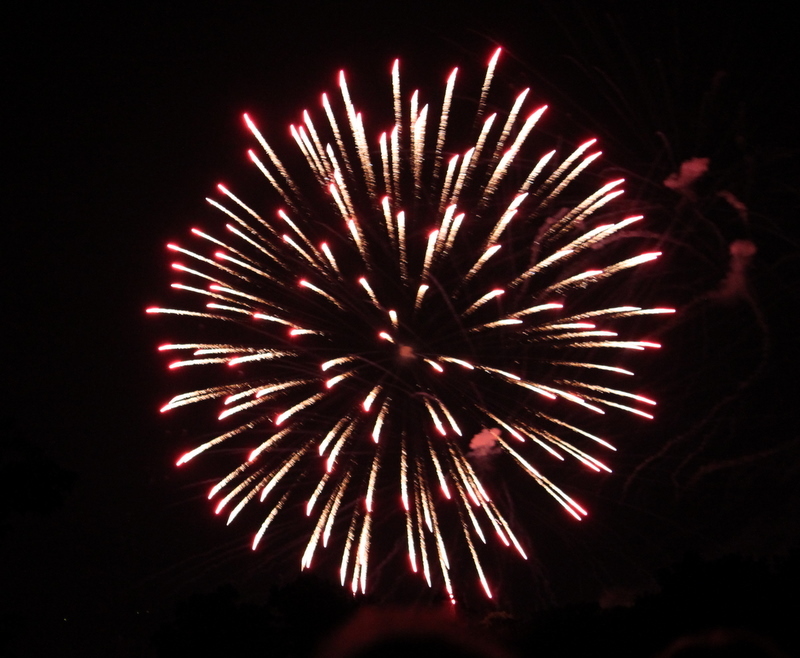 I hope you and Betsy have a wonderful 4th of July! Have a great day. Celebrated here yesterday and last night. The bar/bistro “hotel” under the CBD Rail Station and the Sofitel Hotel goes all out on the 4th July. Flags galore and red, white and blue bunting. All American beers are sold. Unfortunately this 4th July clashed with another Aussie ritual – the State of Origin League football final between NSW and Qld. So the Grand Central would have been a sea of US ( red, white and blue revellers), Qld supporters ( maroon) and NSW supporters ( outnumbered in blue). It would amount to chaotic scenes! Many VERY sore heads this morning – ha ha! I am sure your celebrations at Tullahoma with your Dad and other family members will be far more sedate – ha ha! Cheers on your BIG day. PS: Qld won the series 2 matches to 1. The people dressed in blue would be all sulking this morning! Hi George, you and Betsy also have uniform themes, that’s what happens when you have uniform shirts in your walks! haha! That fireworks shot is perfect, i haven’t taken a lovely one as i don’t normally take tripod. I love Your post. I have never been in The States at that day, but after seeing Your photos, I am sure it is worth for visit then. Thank You. Great shots. Looks like a great day out. Great and nostalgic photos, from past moments and reflected in the present. I love Philadelphia…and all of the historical aspects.